His Holiness Patriarch Mor Ignatius Aphrem II received His Eminence Mor Athanasius Geevarghese, Metropolitan of the Simhasana Churches in South Kerala and Abbot of Mor Ignatius Dayro, at the Patriarchal Residence in Atchaneh. His Eminence was accompanied by a delegation from the Simhasana Churches. 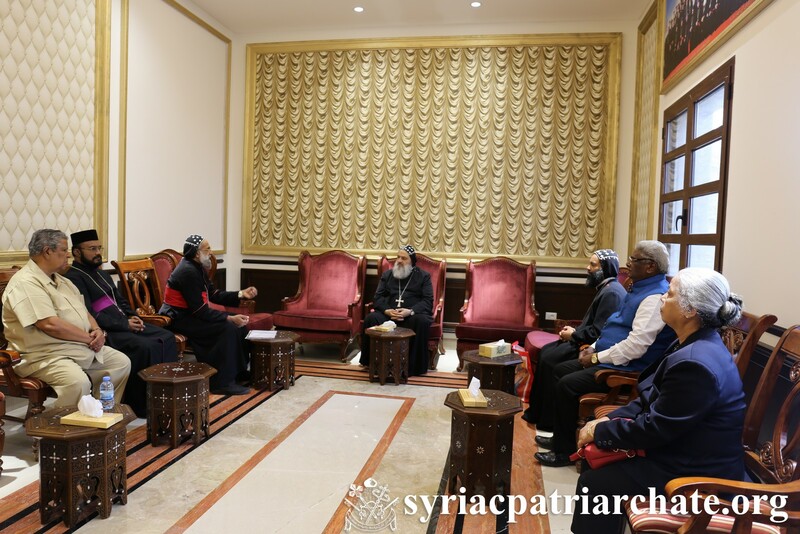 His Eminence Mor Timotheos Matthew, Patriarchal Secretary for Indian Affairs, attended the meeting. His Holiness discussed with His Eminence the situation of our church in India and gave the delegation his blessings and prayers.